Returning for a 6th year the Long Division Festival takes place at multiple venues across the city of Wakefield, West Yorkshire, and will be taking place from Friday 10th until Sunday 12th June 2016. Field Music, Gang of Four, Los Campesinos!, Bis, Brix & The Extricated, The Membranes, Emma Pollock, Malcolm Middleton, Kid Canaveral, Middleman, Dancing Years, The Lake Poets, De Rosa, Johnny Foreigner, Her Name is Calla, Post War Glamour Girls, Sam Airey, Man Made, Fizzy Blood, The Spills, The Ainsley Band, Jonny The Firth, Yard Wars, I Set The Sea On Fire, Galaxians, Fear of Men, RM Hubbert, Kagoule, Allusondrugs, Kingsley Chapman and The Murder, Barry Hyde, Pictish Trail, Hatcham Social, Louise Distras, Forever Cult, Cold Summer, Euphoria Audio, Knuckle The Do's, O Captain, The Homesteads, Jaded Eyes, SAMH, Charlie Padfield & The Gamma Rays, Fleckt Pets, Piles Of Clothes, The Passing Fancy, Stop Drop Robot, Climbing Alice, Mi Mye, Ryan Young, Thomas Wilby Gang, Juffage, Milk Crimes, Yawning Dog, Framing Witches, Little Mono, Jack Winn, Habberdash, Lewis Armitage, Deadset Dream, Monoking, and One Day, After School. The format this year sees the opening Friday have a special guest perform at a free party. The main day is Saturday 11th June and will feature at least 8 stages, with 70+ bands performing from midday to midnight - the ticket is swapped for a wristband giving access to all venues.Sunday will feature LD's traditional live album recording with a special guest. Friday is free. An adult ticket for Saturday is priced at £25, and a ticket for those aged 18-21 years is priced at £15, and a ticket for those aged 16-17 1 years is priced at £10. Long Division Festival ran a Crowdfunding campaign to secure the future of the 2016 event.  The festival organisers were aiming to raise £6,000 to help bring the music festival to life. Infact over 100 supporters pledged over £7500 towards the festival.